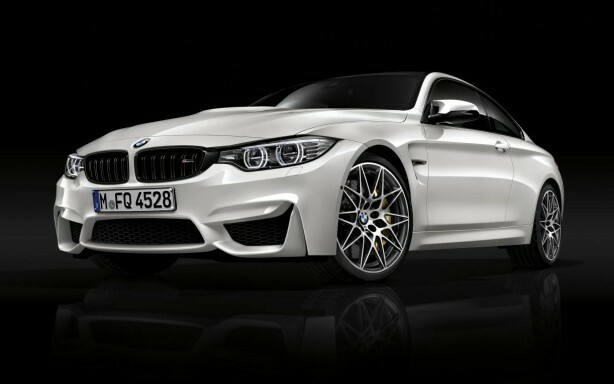 BMW has revealed Australian pricing and specifications for its new Competition series M3 and M4. 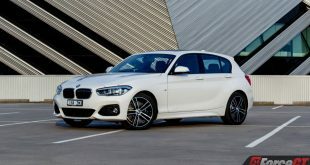 The Competition models feature tuned versions of the M TwinPower Turbo 3.0-litre petrol engine. 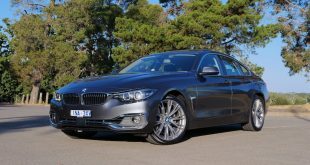 The straight-six now produces 331kW (up 14kW) while retaining its 550Nm torque. Channelling the power through a seven-speed double clutch transmission, the M3 and M4 Competition models achieve 100km/h from rest in 4.0 seconds, an improvement of 0.1 seconds. The M4 Competition Convertible also benefits from the improvement, now achieving a 4.3 second sprint to 100km/h. 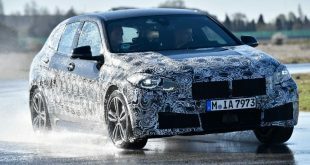 For the enthusiasts, a six-speed manual transmission will be offered at no extra cost. 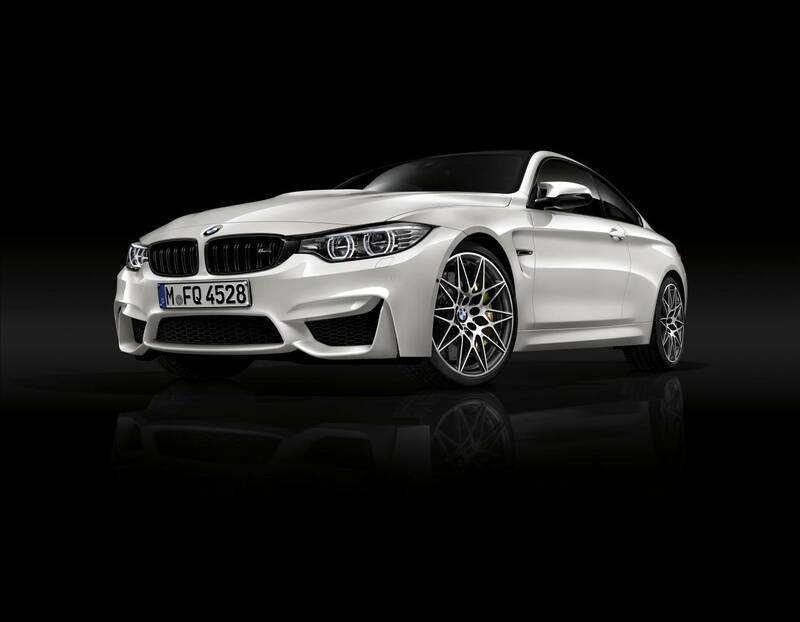 Manual M3 and M4 Competition variants achieve 0-100km/h in 4.2 seconds; the M4 Competition Convertible 4.5 seconds. Both still benefit from the 0.1 second improvement. 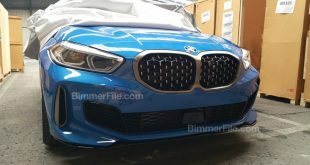 An engine tune isn’t all that BMW have in store for customers, the Competition series gains new springs, dampers and anti-roll bars. 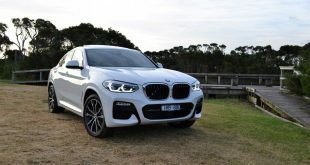 The new model also benefits from machine-polished star-spoke 20-inch alloy wheels and mixed tyres (265/30 R20 front, 285/30 R20 rear) which BMW claim improve handling characteristics. The Active M Differential has also been tweaked supposably improving traction. Three driving modes are offered with the standard Adaptive M Suspension (Comfort, Sport and Sport+). Visually, the Competition variants stand out with their Shadow Line trim. A black high-gloss finish highlights the classic BMW kidney grille, side gills, window trims and rear model badge. 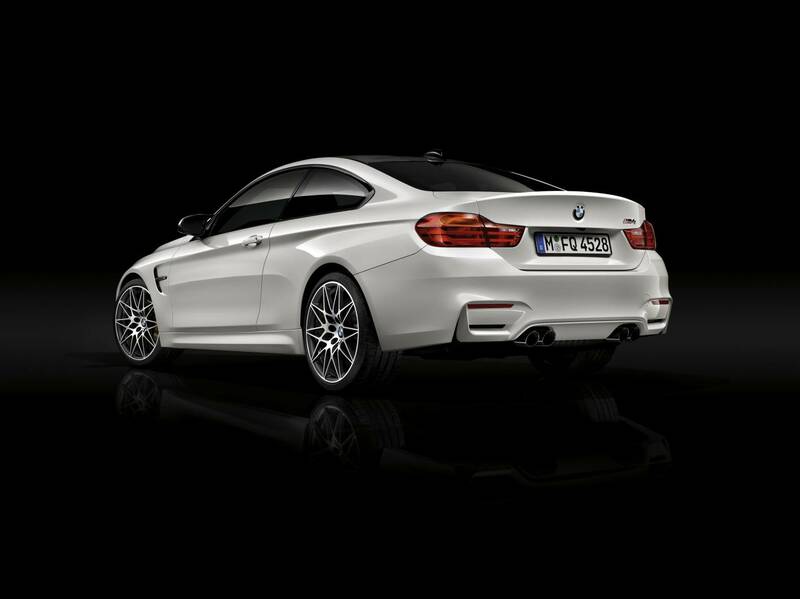 The rear features quad tailpipes in a high-gloss black tint. 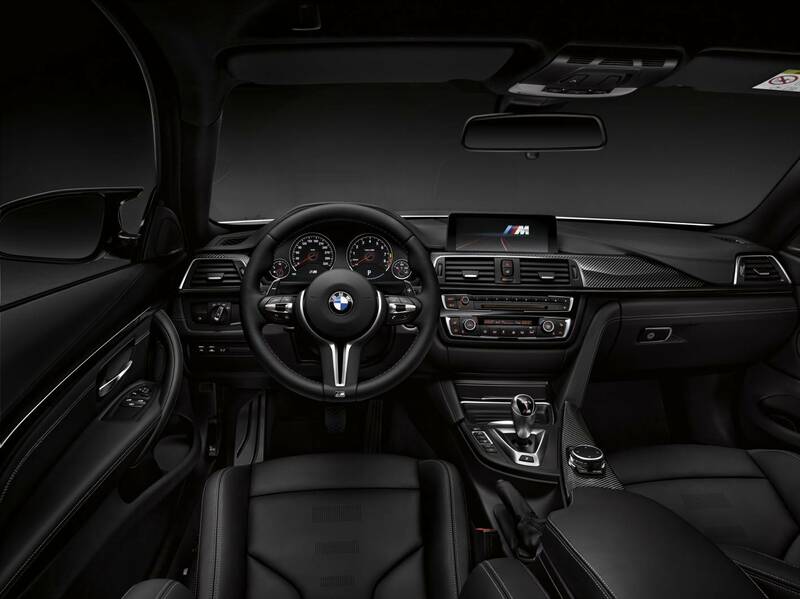 The interior adopts M leather seats with distinctive cut-out elements designed to further reduce weight. 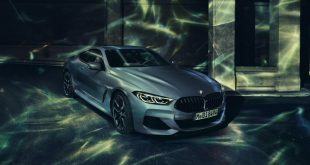 The seats keep their electric adjustment and according to BMW provide comfort and plentiful support during high performance driving. 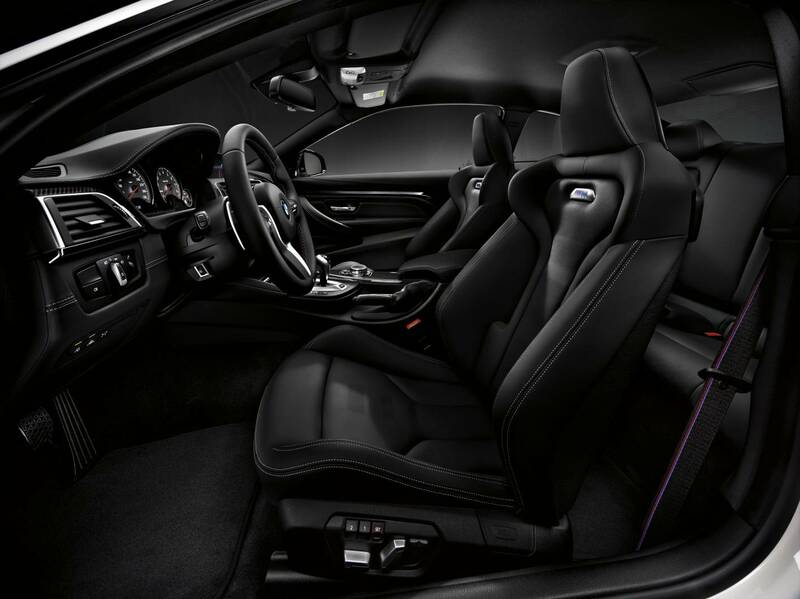 BMW M stripes are woven into the seat belts to complete the interior. Atop of standard M3 and M4 models, the Competition series benefit from comfort access, head-up display, extended leather trim and smartphone connectivity. Customers can further individualise their vehicles with various paint, upholstery and trim options. The vehicle tightly controls maintenance and servicing requirements thanks to its Condition Based Servicing (CBS) system. With CBS, sensors and advanced algorithms monitor and calculate the conditions in which a vehicle is used, including mileage, time elapsed since its last service, fuel consumption and how a vehicle is driven. Based on the information captured, maintenance requirements are determined, identifying whether an annual vehicle inspection or oil service is due. 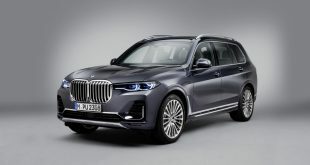 Selected BMW service and maintenance costs can be covered by a single, one-off advance payment with BMW Service Inclusive (BSI), which is available in two packages: Basic or Plus. 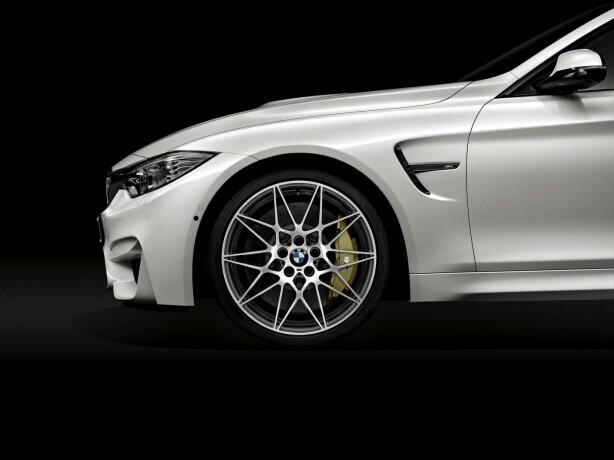 Pricing commences from $144,900* for the M3 Competition Sedan, $154,900* for the M4 Competition Coupe and $165,900* for the range-topping M4 Competition Convertible.